Motor oil manufacturer Mobil 1 has launched an online competition, the winner of which will get to travel out to Austin, Texas with a +1 to see the Grand Prix from behind the scenes with the McLaren Mercedes team. To participate, competitors have to play an online racing game, taking in famous sights across Europe before making their way to Texas. 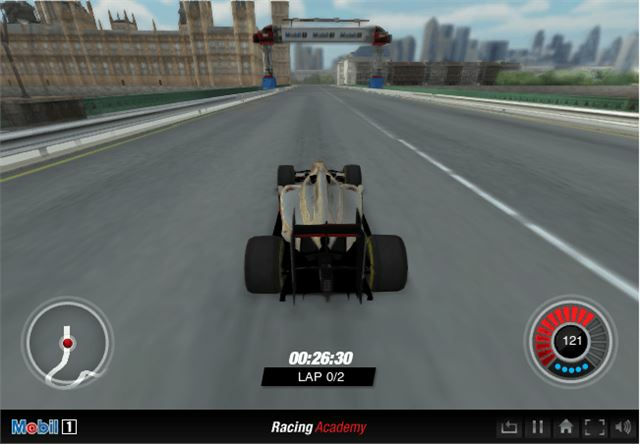 Along the way, players will be asked a series of multiple choice questions to test their motorsport and driving knowledge. It’s not a one-chance thing, though – competitors can re-run as many times as they want before submitting their best time. The winner of the competition will fly business class with a friend to Austin, Texas and stay in luxury accommodation. They’ll then spend the Grand Prix at the Circuit of the Americas with Vodafone McLaren Mercedes, with the opportunity to meet the drivers and view the qualifying from exclusive hospitality. There’s also spending money and a gift pack thrown in. To enter, as well as to read the terms and conditions, click here to visit the Mobil1 game page.